A while back, the folks at EcigWizard asked if I’d be willing to try some of their products and share with my readers what I thought about their stuff. This is a first for me but as I love vaping and trying new things I figure why not? So I said yes but made sure they know I’d be giving my honest impressions because I wouldn’t want to steer anyone astray. They sent me two ejuice samples to try from Vermilion River. Now this is funny. Vermillion River is made in Minnesota USA. I was born in Michigan and moved to Australia several years ago. EcigWizard is based in the United Kingdom. So I’m sampling something made in the USA, sent to the UK and then sent on to me in Australia. Talk about some well travelled ejuice! The samples came in two 10ml bottles and were both 20mg. I normally vape 18mg so this was a little stronger than what I’m used to, but not so strong I couldn’t enjoy it. I’ve been using the samples for well over a month so I feel I’ve given them a fair trial. There was one I liked a lot more than the other, but because my husband also vapes, I let him try the one I wasn’t keen on and he quite liked it. We definitely have different tastes and preferences. Back in the days when I used to smoke cigarettes, I smoked menthol. I was also very fussy. I stayed with the same brand and lord help me if it wasn’t available and I had to smoke something different. Those days are long gone – it’s well over a year since I quit cigarettes. One of the most pleasant surprises for me with vaping is at any given moment I can change flavours to match my whim. 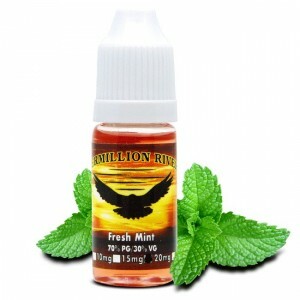 When I first took up vaping I naturally migrated towards any ejuice that had menthol or mint in the name. I’m pretty sure if I looked through my bottles I’d find at least 20 variations of mint, menthol or a combination of tobacco and mint flavours. I tried I really did, but I never found anything that I could relate to, and after awhile I was enjoying the variety of many different flavours and realised I didn’t need to replicate the old taste of ‘my’ brand of cigarette. Who needs that horrible taste? So I moved on and left all the menthol experimentations behind me. 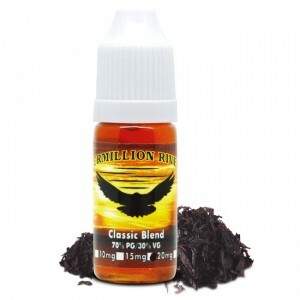 Then EcigWizard sent me a sample of Vermillion River Fresh Mint. I can’t tell you what it is about this juice that’s different from others I’ve tried, aside that it works for me. It’s not overpowering or overly sweet, it’s just well, perfect. I normally avoid eating mints because I never know whether it’s going to clear my sinuses (and taste buds) or burn my mouth. I do like creamy type mints with chocolate such as Peppermint Patties, and that describes the taste of the Fresh Mint rather well. It’s not far off from crème de menthe. Yum. This is the only mint ejuice that’s ever made it into my handbag when I’ve gone out. One of the things I really like about it is that it stops any nicotine cravings stone cold. Some of the menthol flavours I’ve tried are fine at the start but I find if I vape them exclusively too long I start feeling ill. Something about too much mint just upsets my system. I don’t have that problem with this juice. 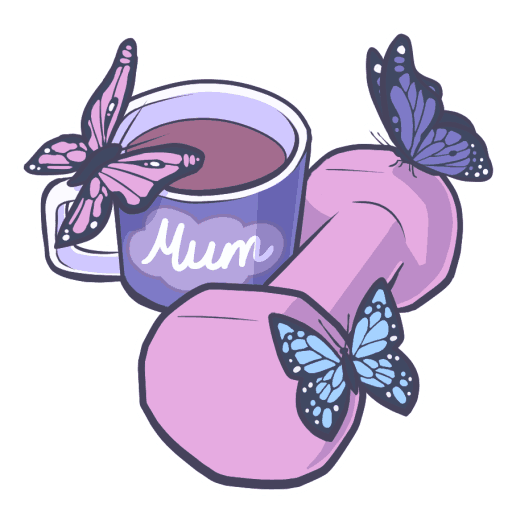 I’ve spent many a happy evening vaping this – it’s lovely with coffee after a meal. I give this juice a big thumbs up. The reviews are mostly positive, but I’m not surprised to see that it’s a flavour most people either love or hate. I’m not “most people” though and I’m rather neutral towards it, but you’ll need to excuse me as I’m way past the point of wanting my vapes to taste anything near what a cigarette tastes like and when I did smoke I only smoked menthol. I’ve given this juice to my other half who seems to quite enjoy it and that makes sense. He smoked regular cigarettes and has only been off the smokes for a few months now. He disagrees about it tasting smoky and feels it’s more a caramel, oak or woody taste. He likes it and gave it a thumbs up so I’ve added it to his vape stash. Did I miss anything I should have mentioned in my reviews? It’s important to realise that taste is a very subjective thing. What I love and rave about might taste like donkey juice to you and vice versa. If there’s anything you’d like me to write about regarding vaping, feel free to let me know in the comments.